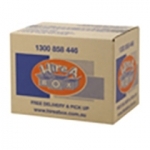 Looking for cheap, strong moving and archive boxes in Melbourne Southern Suburbs? We can deliver to your door and offer an excellent solution for all your packaging materials! Hiring moving boxes in Melbourne saves you up to 30% on your moving costs. 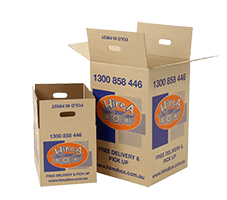 FREE DELIVERY, TOP-UP and PICK-UP – order hire boxes to the value of $65 and receive free delivery all around the Melbourne metro area. 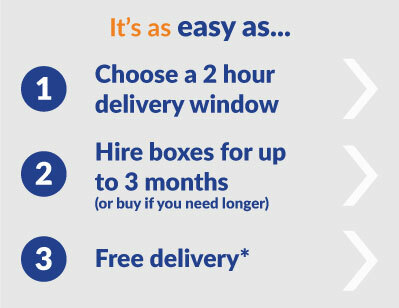 If you run out of boxes, give us a call and we will do a second delivery for free. Once finished with the boxes, give us a call and we’ll come get them from the new destination. If you are looking for good quality moving boxes in Melbourne Southern Suburbs delivered to your front door, look no further than Hire A Box as your partner in boxes. You can order online or over the phone on 1300 858 446.